Jodie Whittaker has made her debut as the first female Time Lord in the Christmas special of Doctor Who. Given the role in July, the new Doctor succeeds Peter Capaldi to become the 13th Time Lord. The 35-year-old Broadchurch star said she was “beyond excited” to take up the role and the offer had been “overwhelming, as a feminist”. Whittaker will fully begin her role next year alongside Bradley Walsh, Mandip Gill and Tosin Cole. Capaldi, who has had the role since 2013, regenerated at the end of the episode to become Whittaker’s character. When she was appointed, Whittaker told fans not to be “scared” by her gender. “It’s more than an honour to play the Doctor. It means remembering everyone I used to be, while stepping forward to embrace everything the Doctor stands for: hope. I can’t wait,” she added. Actress Jenna Coleman returned as Doctor Who companion Clara Oswald in the Christmas programme alongside David Bradley, playing the part of William Hartnell’s first Doctor, Sherlock actor Mark Gatiss and Pearl Mackie as companion Bill Potts. It was the last episode for Potts and the show also marked the end for the programme’s writer Steven Moffat, who has stepped down after seven years. He has been replaced by Broadchurch creator Chris Chibnall. 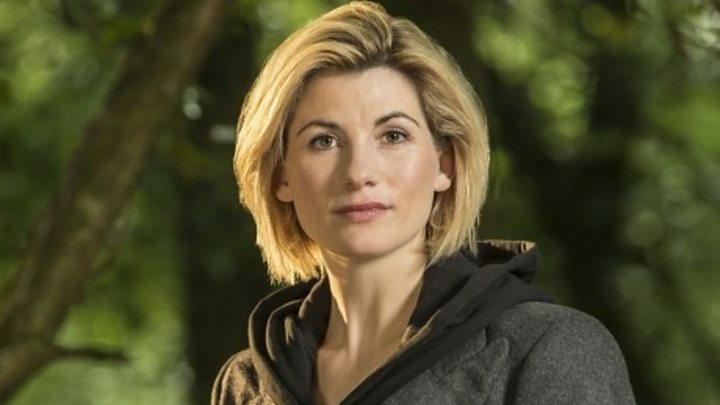 Fans reacted to Whittaker’s introduction and Capaldi’s departure on Twitter, with some praising the Doctor’s gender. Meanwhile others were supportive of the actress’s roots. If you missed Doctor Who: Twice Upon a Time you can watch it on iPlayer.